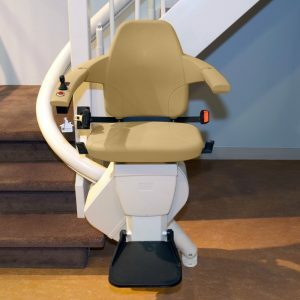 Visit our showroom and take one for a test drive. 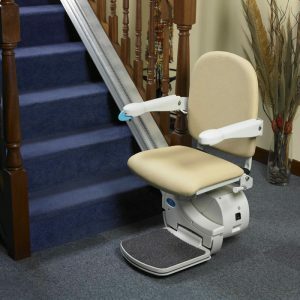 The HomeGlide is one of our range of Somerset Stairlifts & Mobility straight stairlifts. 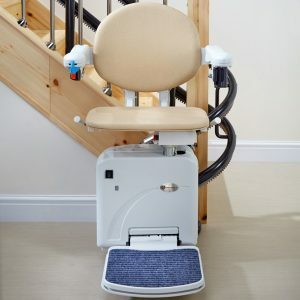 It is designed to fitted directly to your staircase, so there is no messy building work, dust or debris. 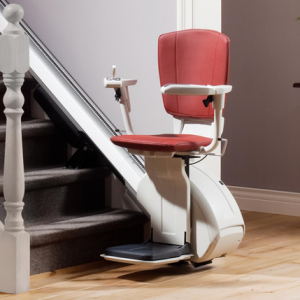 After an initial home survey each rail is profiled and manufactured individually to suit your staircase – our engineers are able to install your stairlift in one single visit – so, once surveyed and ordered we can have your stairlift operational in less than 24 hours! 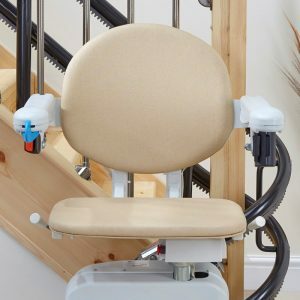 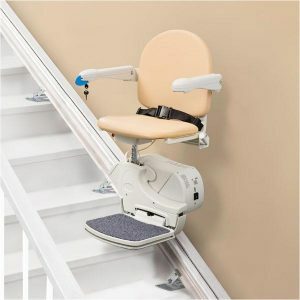 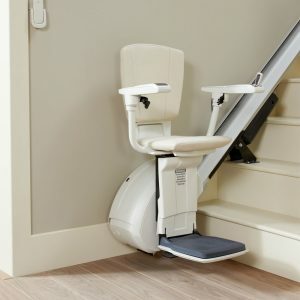 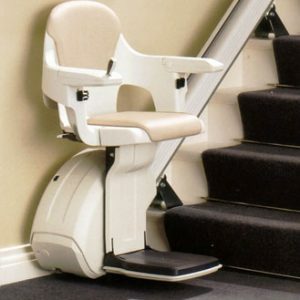 The first thing you notice about this stairlift is that it takes up very little space – folding neatly away to allow others to pass and share the staircase. 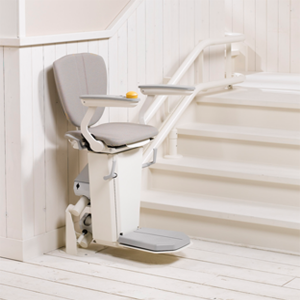 It is fitted with an ergonomically designed seat which positively influences your posture whilst affording you maximum support and comfort. 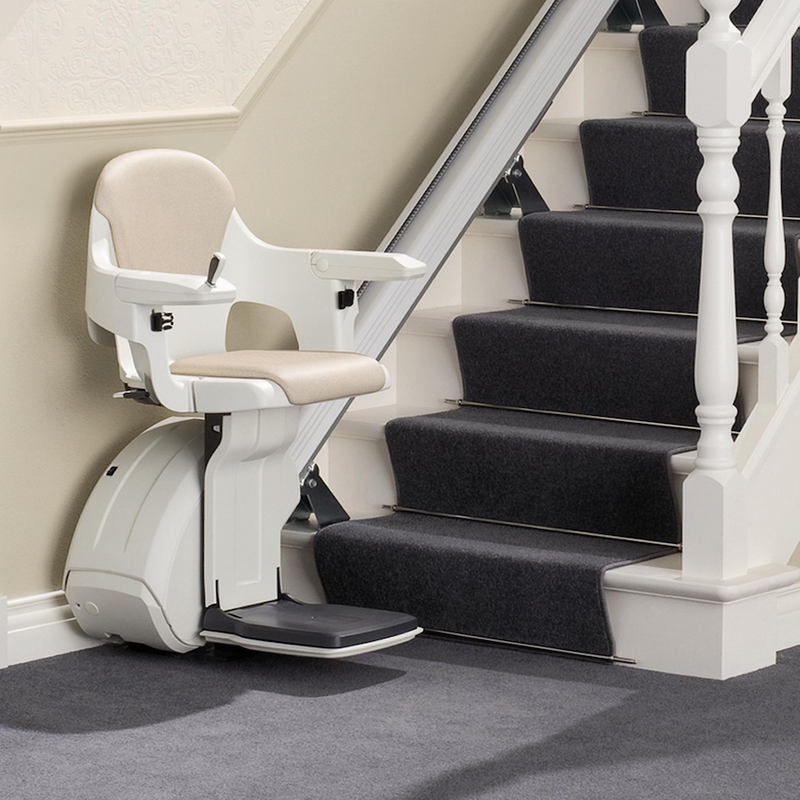 * Please note: all of our stairlift prices are subject to a home survey and can change depending upon the complexity or size of the staircase. 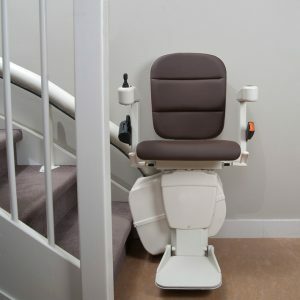 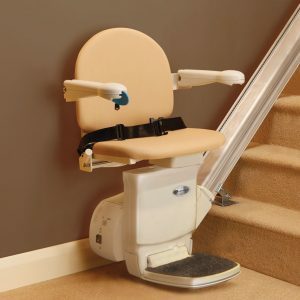 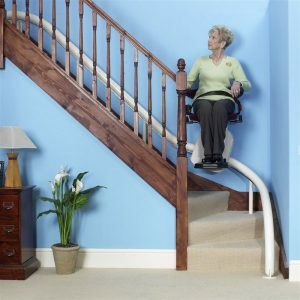 For £1550 we can supply and install a single rail straight stairlift, to a maximum of five meters in length. 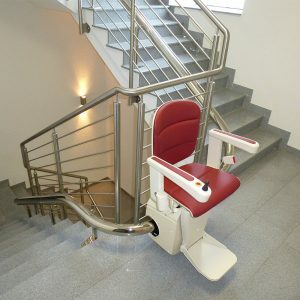 All of our stairlift are bespoke – as part of our offer we visit every home, survey the structure and shape of your staircase, discuss the colour, shape and finish your require, thereafter we manufacture the component parts to fit your staircase perfectly then deliver and install the stairlift to your satisfaction.